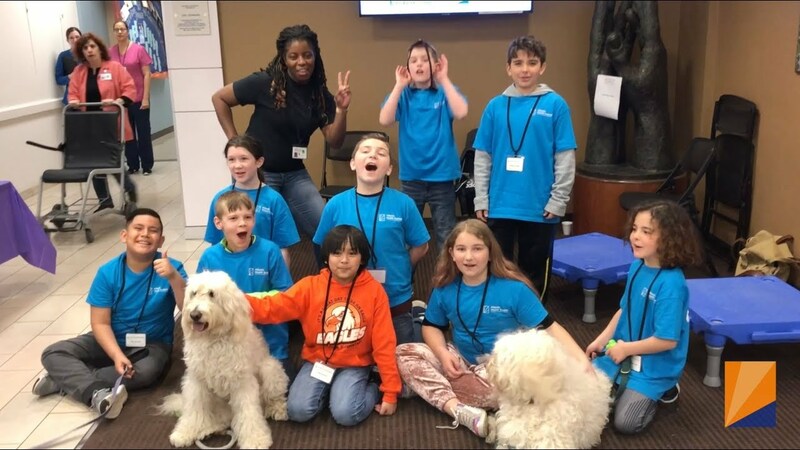 Atlantic Health System, the top-ranked New Jersey organization on Fortune Magazine’s Best Place to Work and third largest system in the state, celebrated “Take Your Child to Work Day” on April 26, 2018 in a unique way, offering career inspiration to our next generation. Children in attendance interacted with the system’s executives and medical staff, with the goal of assuring that all of the almost 500 children who attended events at hospitals and facilities across the system left with confidence and knowledge that whatever their career aspirations, they can be a leader and make a difference. Interactive sessions with the children highlighting a variety of careers and activities ranging from sports medicine to healthy food demonstrations ran throughout the day. Embracing Atlantic Health System’s mission of building healthier communities, children also spent time with pet therapy dogs, heard a motivational talk from a player from the New York Jets, participated in a demonstration of an automated external defibrillator, earned a Project Heartbeat badge and explored our medical helicopters and ambulances. Please visit Atlantic Health System’s social media pages for pictures and updates from Take Your Child to Work Day.